While Apple's new TV streaming service will include its own original content, Apple will also be offering customers access to video streaming subscriptions from third-party services, such as HBO and Showtime. Part of this effort could potentially include bundles of channels from various content providers, according to new reports from Recode and The Information. That wholesale/retail relationship also means Apple, not the streamers, can set the price for the stuff it sells. Apple isn't likely to sell, say, HBO for less than HBO sells itself on rival platforms like Roku. But it definitely plans to sell bundles of pay tv channels at a discount, just like pay TV operators have always done. It's not entirely clear when Apple plans to offer bundles like these, but providing discounted access to a group of channels would provide Apple with an edge over Amazon. Amazon, as The Information points out, allows customers to sign up for streaming services like Showtime through their Amazon account, but customers must pay full price. According to Recode, Apple's service isn't going to be a major Netflix or Hulu competitor because the focus is going to be on selling streaming video subscriptions from other companies and taking a cut of the transaction. Apple is working on original content, but its own shows and movies "should be considered very expensive giveaways, not the core product." Apple is offering its content partners a revenue share that's similar to Amazon, which keeps 30 to 50 percent of the subscription fee. Apple, however, won't be offering access to as much data as Amazon provides. Still, The Information says publishers find bundling "appealing," and Apple has been touting its huge subscriber base to score deals. 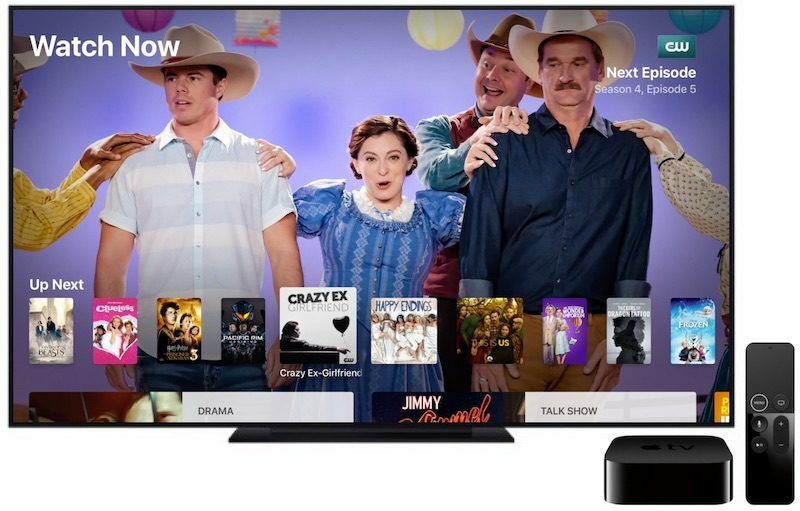 Apple's subscription TV content will be made available through its existing TV app which is available on the Apple TV, iPhone, and iPad. There's no word on which channels Apple will include in bundles, but Apple has signed deals with 15 streaming channels for separate subscriptions, including digital only services like Cheddar and Tastemade and TV channels like Showtime and Starz. Apple has not yet inked a deal with HBO. Apple is going to introduce its streaming service at its upcoming March 25 event, and the service is expected to launch in the United States later in the spring before expanding to additional countries. Apple is also unveiling an Apple News subscription service at the event, and rumors have suggested that the TV and news services could be bundled with Apple Music as part of one subscription for Apple users. Apple is also going to announce an Apple credit card provided by Goldman Sachs. Other countries “coming soon”, never to hear from them getting it again. Oh now things are getting interesting. I wonder if it’ll have live tv. Sounds like the old cable TV bundle package. This is not going to get me to replace the cord I cut with their streaming service if it includes bundled garbage I'll never watch. This shows that without Steve Jobs, these people are just bunch of negotiators who negotiate contracts. That's all. The way Steve convinced the music industry to sell music over iTunes was revolutionary. And now we have Tim Cook and Eddie Cue running the business! No revolutionary idea.. just old wine in new bottle! That would be cool if they do, but I hope they have an option without Live TV. I never watch Live TV, and it would most likely dramatically increase the sub price. Unlimited DVR would be the killer app for Apple. I want to completely eliminate Comcast/Dish/DirectTV from my life. Let me choose all of my channels à la carte—leaving out the channels I don't watch (sports, etc. )—and make it have a true unlimited DVR, and I'd pay $100/month (or more) for that. I'm already paying that now with Dish. DirectTV's limited DVR function is ridiculous. It requires no more space for them to store a recording of the Super Bowl (for example) for 10,000,000 people than it does to store it for 1. Arbitrary time/space limits on recordings are something the content providers want, but Apple might have the negotiating power to overcome. Even better: Imagine AppleTV service that worked like Apple Music. You pay one monthly fee and have access to basically anything on television, or any movie available within the Apple online catalog. And the content providers get paid every time you watch something. It would be a brilliant model. I'd pay LARGE money for that service. Apple has been touting its huge subscriber base to score deals. The adage that Users are “the product” in Google’s ecosystem seems to apply to Apple’s customers as well. Discounts aside, I'm not a fan of bundles. I don't want to pay for something I won't watch. Another bundle? No thanks. There's plenty of those to go around. I highly doubt this is what Steve Jobs had in mind when he said he figured out what to do with TV.